Plans to build a new football stadium for Leamington FC have reached a "key milestone", following a deal to acquire a piece of land for the venue. Warwick District Council (WDC) has purchased land from Warwickshire County Council close to the Warwick Technology Park – identified as the best location for the stadium. Plans for the site include a 5,000-capacity football stadium with a 3G artificial pitch, conference facilities, a health club, café and community facilities. WDC has also tabled proposals to build 375 new homes, a new primary school, community hall, medical facilities and improvements to the road network and cycle links. 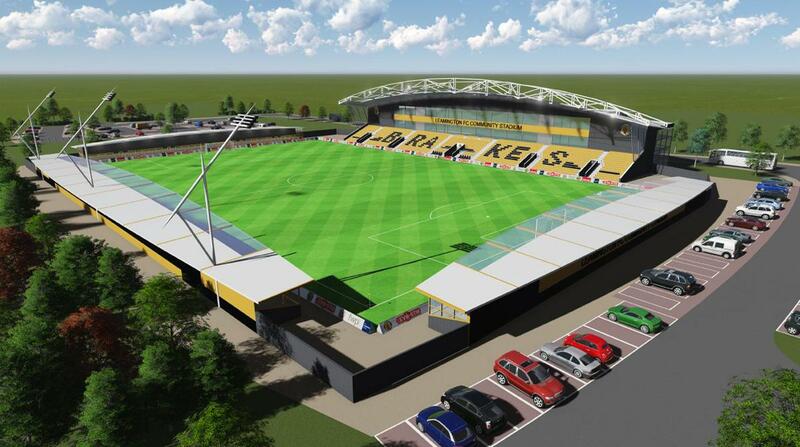 “This is a key milestone in our ambitions to create a new home for our club," said Leamington FC chairman, Jim Scott. "A new stadium with improved access and facilities will help us fulfil our aspirations to move into higher leagues. "It will also allow us to develop and expand our presence in the community through our programme of football-related activities. "This will give more people the opportunity to get involved, be it as a player, spectator or user of the facilities." Leamington FC currently plays in National League North, the sixth tier of English football.